For those familiar with SharePoint document libraries and OneDrive for Business, there is a button that I think you’ll find quite useful: meet the OneDrive “Sync” button. 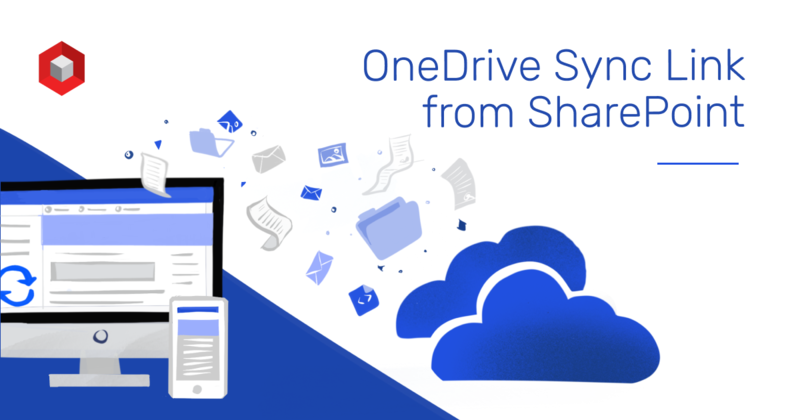 Sync will let you sync the current library to your OneDrive. I was recently asked to add the sync functionality to a page for a custom SharePoint application that we built. The idea was to allow the end users to stay on the application page without having to struggle to find the “Sync” button within the nested document libraries. Developers will see that most of the information needed is in the _spPageContextInfo object that gets generated on every SharePoint page. For those non-devs curious about how they might find the necessary information to go this route, I have created a standalone page available on GitHub and I’ve provided the step-by-step guide below. 1. Go to GitHub (link here) and download the “CreateOD.aspx ”page. 2. Go to a SharePoint site and upload the page to any document library (e.g. Shared Documents, Pages, etc.). Please note that the code will only retrieve the document libraries of and generate links for assets under the current site. 4. Select a document library from the dropdown. 5. You can now copy the link provided and use it anywhere on your SharePoint site OR click on “Sync OneDrive” to launch. Create a OneDrive Sync Link from the SharePoint page, you are done! Here at NIFTIT, from Office 365 consulting to SharePoint solutions, we can handle projects of any size and difficulty. We follow industry standards and best practices to build world-class solutions. learn more about our office 365 support here! back: Can We Use G Suite with Office 365?